Big companies are jumping on the crypto bandwagon, and for good reason. Crypto currencies and the blockchain technology on which they are built are the wave of the future. The problem is that JPMorgan-"coin" and Facebook-"coin" just cannot compare to the No. 1 cryptocurrency today – Bitcoin. Bitcoin is and always will be popular precisely because it can't be controlled by a central authority, whether that's the government or a Wall Street bank. Decentralization and anonymity make cryptocurrencies attractive as alternatives to fiat currency, not a fancy way to transfer money to your bank. With governments around the globe printing gobs of money since the financial crisis, it is no wonder why people just don't trust fiat currencies. And now, while the Fed has started to reel its flood of cheap money back in, Europe just reversed its plans and will continue with its stimulus plans. This is exactly why a currency that is not beholden to central banks is so sorely needed. A vote among a small panel of economists cannot hold cryptos hostage. But you don't have to take our word for it. We're going to break down exactly why these new corporate coins are all hype and can't compete with Bitcoin. When Bitcoin soared to its all-time high of $19,783.06 per coin in 2017, a flood of new coins hit the market to cash in on the hype. 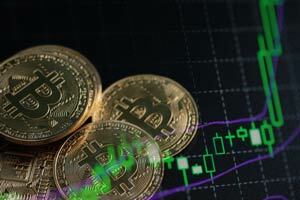 In 2018, the total number of new coins topped 1,600, although Bitcoin remained the undisputed leader by market capitalization. Companies of all stripes issued their own coins to facilitate their own brands and businesses. Some seemed very important, such as KodakCoin, which was an image rights management platform that created an encrypted, digital ledger of rights ownership for photographers. Others, such as BananaCoin, seemed rather self-serving, as the coin was tied to the price of bananas. You can guess what PotCoin, TrumpCoin, PutinCoin, and WhopperCoin were all about. Yes, WhopperCoin was a rewards program at Burger King. You get the point. Anyone can create a coin for any reason, so a legitimate reason by a big company should be no surprise. JPMorgan Chase & Co.'s (NYSE: JPM) offering, called JPM Coin, is a digital coin representing U.S. dollars held in designated accounts at JPMorgan Chase bank. This coin always has the value equivalent of one U.S. dollar and is used to transfer money from one client to another using blockchain technology. In short, JPMorgan wants to create a "legal" alternative to the unregulated cryptocurrencies. Of course, lack of regulation and compliance – meaning some central rulemaking authority – are the reasons why people like decentralized currencies. The point of Bitcoin was that a central authority can't control or manipulate the coin, whether that's changing its value or deciding who is allowed to use it or not. JPM Coin will be available only for JPM customers, and JPM will manage the value of the coin to keep it equal to a dollar. In other words, JPM is merely attaching the allure of cryptocurrencies onto a normal banking app. The new coin from Facebook Inc. (NASDAQ: FB) is also pegged to the U.S. dollar and allows users to transfer money through WhatsApp, Facebook's messaging application. With 1.5 billion monthly users, WhatsApp has a huge potential market for peer-to-peer payments between its users, especially across borders. While this sounds great in theory, there are two major problems for Facebook. First, the company is already losing trust among its users. The last thing users want is for Facebook to have access to its finances. That's especially true when you consider Facebook is creating this to generate revenue. That's not exactly the role of a currency. Second, sending money across borders is one of the chief benefits of using cryptocurrencies. Since no governments or banks are involved, there are no fees and no restrictions on who can send money or how much they can send. Why would a user pay money to Facebook to use their coin instead of Bitcoin or Ripple? That's exactly why investing in Bitcoin can be so lucrative. The demand for the coin is high, and the supply is determined by the blockchain, not a company. Cryptocurrency legend Michael Robinson just revealed the little-known details regarding the future of Bitcoin… and why at any moment, it could be poised for a record-breaking rebound far beyond anything we've witnessed already. Michael made a prediction about Bitcoin way back in 2013 – and folks who followed his advice stood to become 253 times richer. We'd venture to say not one in 10,000 people are aware of the massive profit potential unfolding right now.